Body Area Networks integrated into mHealth systems are becoming a mature technology with unprecedented opportunities for personalized health monitoring and management. Potential applications include early detection of abnormal conditions, supervised rehabilitation, and wellness management. Such integrated mHealth systems can provide patients with increased confidence and a better quality of life, and promote healthy behavior and health awareness. Automatic integration of collected information and user’s inputs into research databases can provide medical community with opportunity to search for personalized trends and group patterns, allowing insights into disease evolution, the rehabilitation process, and the effects of drug therapy. A new generation of personalized monitoring systems will allow users to customize their systems and user interfaces and to interact with their social networks. With emergence of first commercial body area network systems, a number of system design issues are still to be resolved, such as seamless integration of information and ad-hoc interaction with ambient sensors and other networks, to enable their wider acceptance. 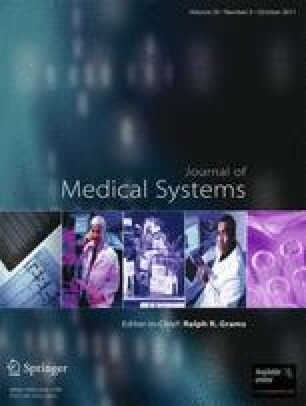 In this paper we present state of technology, discuss promising new trends, opportunities and challenges of body area networks for ubiquitous health monitoring applications. Nordic Semiconductors, http://www.nordicsemi.com/ (Dec 2010). Wireless Health 2010, http://www.wirelesshealth2010.org/ (Dec 2010). Corventis PiiX, http://www.corventis.com/US/medprof.asp (Dec 2010). Proteus Biomedical Digital Pill, http://www.proteusbiomed.com/ (Dec 2010).